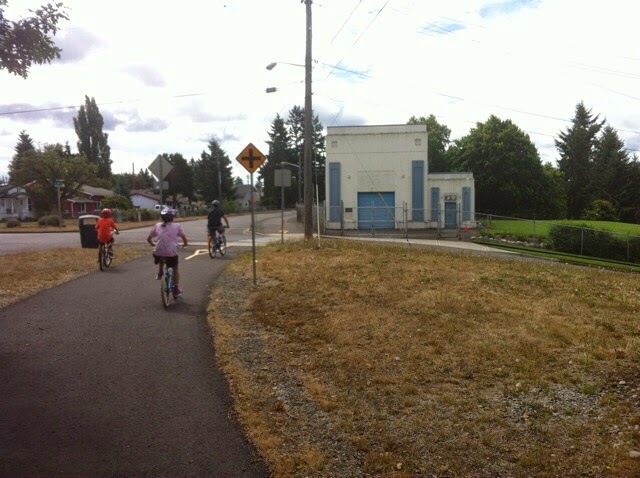 September is Back to School month so we're heading to South Tacoma on September 14 to ride the historic Water Ditch Trail from South Park to Arlington Elementary to get kids motivated about biking to school. And, at the request of several families, this is our first ride on a Sunday! As usual, meetup at 10:30am to get everyone ready then we'll rollout at 11am. Some improvements have been made to the trail since we first rode it together last summer. Most importantly, the two No Crossing signs at South 56th Street have been replaced with a new pedestrian crossing signal. This is a huge improvement. Our 3.8 mile round-trip ride will start and end at South Park, which has bathrooms, a sprayground, a playground and lots of afternoon shade. We'll cross 56th and head south past Edison Elementary and on to Arlington Elementary. 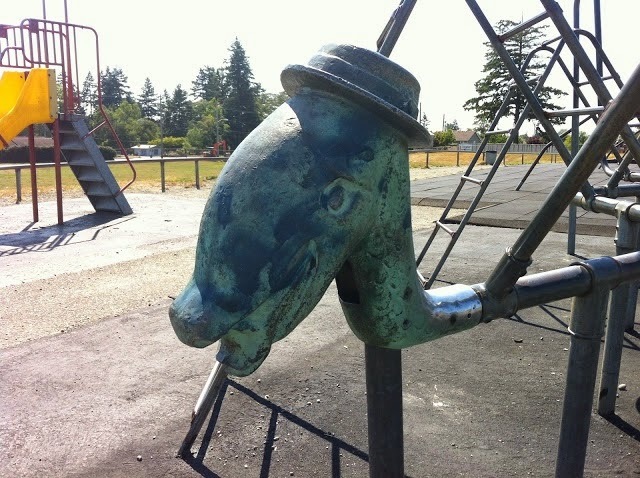 We'll stop and play on the playground for a bit, then return to South Park for a snack. The Water Ditch Trail is quite flat with a few short hills. Most of the route is paved trail, but we will also be riding in the street. (That's the whole idea - kids are traffic, too!) Kids on training wheels and push bikes are welcome, but be aware there are a few short hills to navigate. 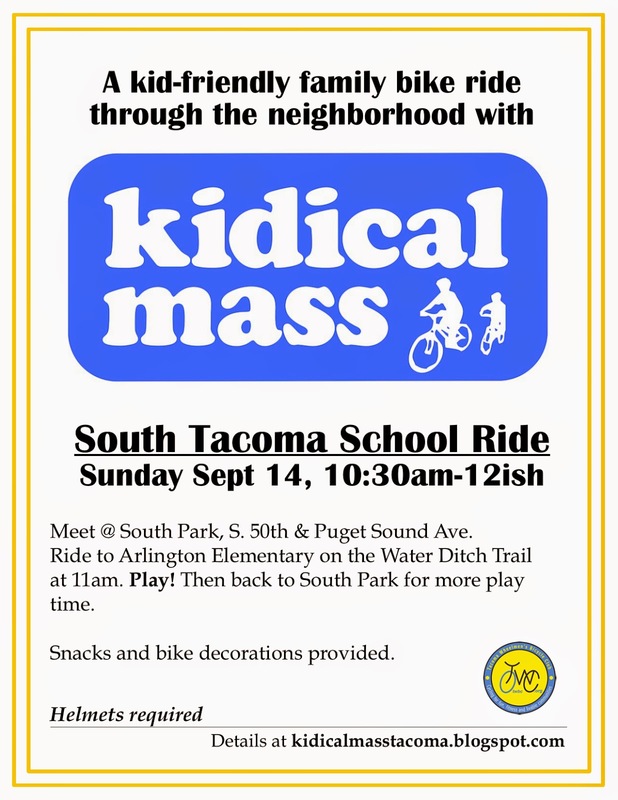 If you're new to Kidical Mass, you can find out more about our free family bike rides here. Feel free to leave questions in the comments section below or email Matt at kidicalmasstacoma<at>gmail.com.